Here's how it works: Submit your caption by February 15, via email, for the cartoon that appears below. On February 18, the captions will put to a vote by you, our faithful readers. 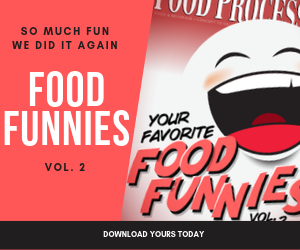 The winning captions will be featured on the FoodProcessing.com Web site and in an upcoming FoodProcessing.com eNewsletter. Congratulations to our winners of the January Caption! My kids got hand held devices for Christmas...they will actually sit next to one another and text...can you believe that?...Kids these days have no sense of conversation...when does our online meeting start? Who ARE these people? Better check online to see if I know them, but if I don’t make eye contact I can pretend they’re not here. No food? This must be the new working lunch diet!